Mumbai : Pranav Dhanawade has decided to hang his cricket boots and concentrate on studies due to continuous bad batting form. He had scripted history by scoring 1009 runs in one innings for his U16 school team in 2016. 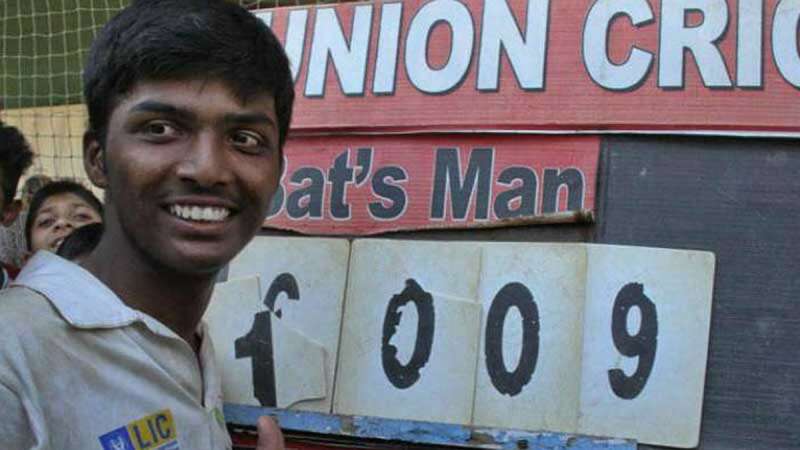 Pranav’s father Prashant Dhanawade, who is an auto-rickshaw driver, returned the scholarship of INR 10,000 per month given by The Maharashtra Cricket Association (MCA) for his son’s education as well as cricket. Prashant wrote MCA a letter and asked them to stop the scholarship till the time his son decides to play cricket again in his life. "We are thankful for the scholarship that the MCA announced when he created a world record with his unbeaten 1009. Since Pranav has not performed to expectations in the last one and a half years, it is not right for us to accept the MCA scholarship. If Pranav performs well later, the MCA can think of awarding him a scholarship. As of now, I request you to discontinue it with immediate effect," said Pranav’s father. Pranav was also dropped from MCA’s U16 team due to his regular dipping performance in the game. Pranav also went to Bengaluru to train and meet India U-19 coach Rahul Dravid but returned with low on confidence. His coach Mobin Sheikh claims that the boy lost his focus amid lime light he received after achieving the 1009-run feat. "We all are motivating him. The main thing is that he seems to have lost his focus. Constant criticism also has been one of the key factors for his decline. But I am hopeful that Pranav will reorganize himself and deliver good cricket from the next year," Sheikh said.